What a beautifully written piece, Tiffany. Totally heartfelt, and a glimpse into your pain and loss that I was able to understand just a little better. And your two little ones are so precious in their attempts to understand the absence of Silas. Thanks for letting us walk this difficult journey with you, but more importantly, thanks for your faithful response in a painful and dark period. May God continue to comfort you and your family. You’re an “Overcomer”! I’m so thankful for friends who walk this journey with me as they read what is on my heart, for it would be too much to bear alone. This is so hard. My 2 year old still occasionally will lift my shirt, pat my stomach and say “baby” or “Noah.” He did it daily for about the first 2 months. It’s so hard to explain to them. It just breaks your heart all over again. 😦 But, our hearts will always continue to break. It’s so hard, isn’t it? 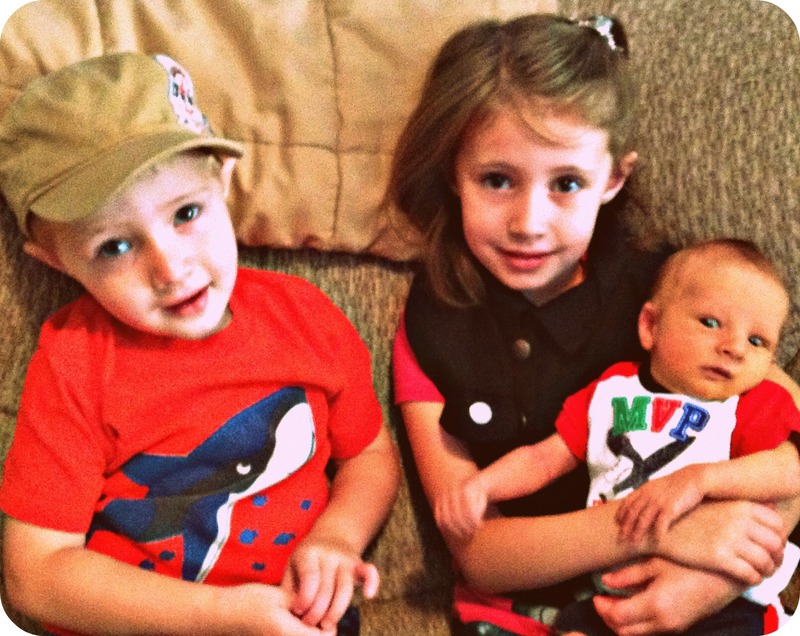 My older kids miss their baby brother so much, and, as you describe, have different levels of understanding given their ages now, and their ages when he was born and died. My kids tell me they miss him every single day. It always makes me hurt for them, but it does my heart good to see their immense love for him. Yes. I SO want them to remember him always. It is heartbreaking and beautiful how your older children remember and miss and love their brother. Heartbreaking and beautiful are the words. I’m so grateful they talk about him every day. They always include him in everything. My daughter and son desperately want kittens, and Lily said she thought Silas would want one, too. 🙂 He will always be represented in our family in all my children do.